The GoPro 3-Way 3-in-1 Mount is a grip, an extension arm, and mini tripod all in one. It is designed for hard to reach shooting spots and provides added stability. The tripod can even be filled with water to create neutral buoyancy for snorkeling. 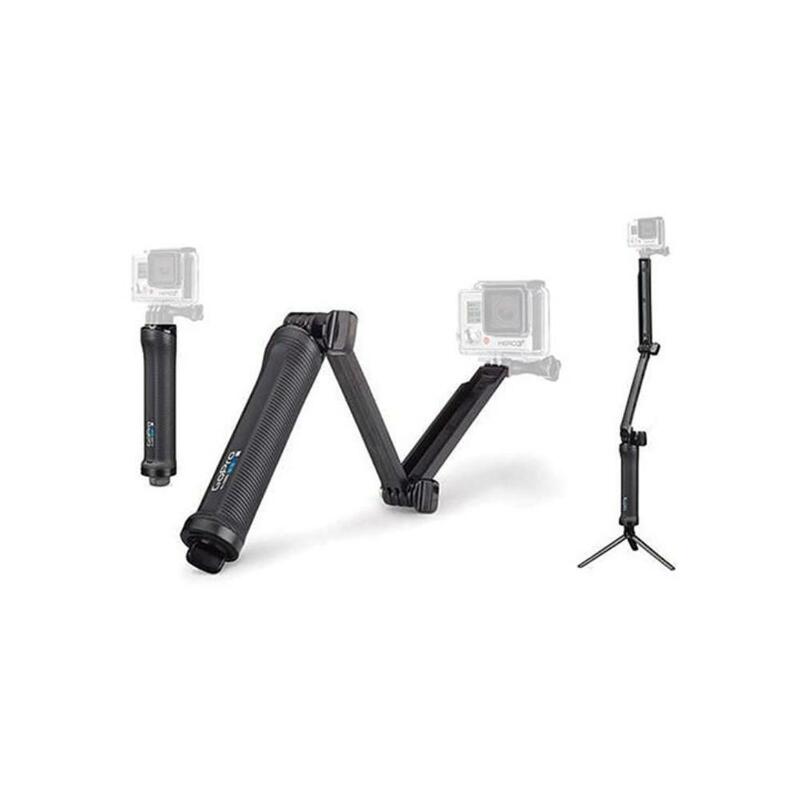 It is compatible with all HERO cameras using the standard GoPro mount. • This rental does not include a GoPro camera.